When your trunking or ducting requires service access, our plywood ducting covers are the solution. These are available in thickness of 15, 18, or 25mm. Having service access to trunking is important for maintenance of anything contained within the trunking. This is espeicially the case where the trunking contains pipes or electrical cables. Failure provide service access may mean a lengthily and costly process could be incurred to fix any problems within the trunking. These flush floor covers can be easily removed to obtain access to the desired area of the duct. 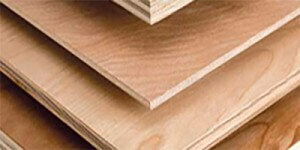 If plywood isn’t what you’re looking for, we can also manufacture floor covers from a range of materials. These include galvanized steel, mild steel, stainless steel, and aluminium. For more information about our plywood ducting covers, or removable flush floor covers manufactured from any other materials, please do not hesitate to contact us.